Combine yogurt, lemon juice, dill, and garlic powder in a small bowl. Add chicken, cucumber, tomatoes, onion, olives, and feta cheese and toss until fully combined. 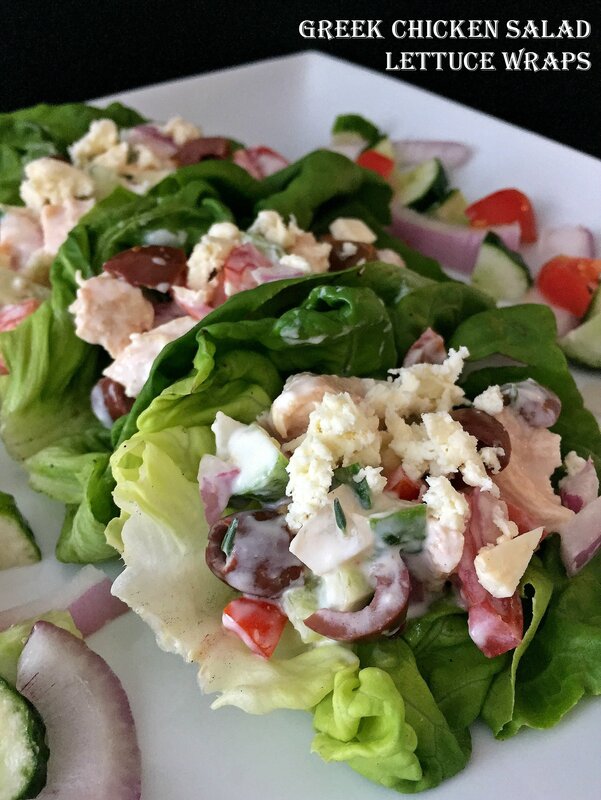 Divide the chicken salad evenly among 4 pieces of bibb lettuce.